Since a few days, WatchUseek, one of the bigger watchportals on the internet, lead by Ernie Romers, just got improved and restyled. 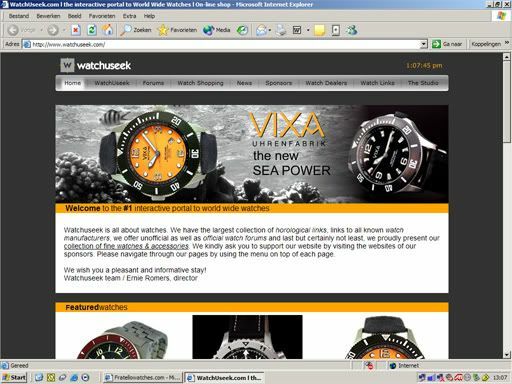 A few months back, WatchUSeek installed new forum software which makes it easier to post and manage your threads, and now, the whole site got restyle by a U.K. web design company. See for yourself and make sure to register and post!